Lake County Florida was once the hotspot for the citrus industry and this tower was built in 1956 as a monument to the growers. Greg added at the time this was built that the view from the top covered 17 million citrus trees in a 2,000 square mile area. In its heyday, the tower’s grounds once boasted candy and jelly factories, a restaurant, a citrus packing house, and about 70 acres of groves. Today the tower offers a history of the grove industry and the view is more of a suburban one, but still emphasizes the beauty of Florida’s rolling hills and spring fed lakes. The day I went to see the 360 degree view sadly the elevator was down and Greg was at the Florida Flywheelers with his beautiful Farmall tractors. I want to go back and take a gander from what is said to be the highest or one of the highest points in Florida. The history of the citrus industry and the tower in its glory years is quite fascinating in the lobby of the tower. 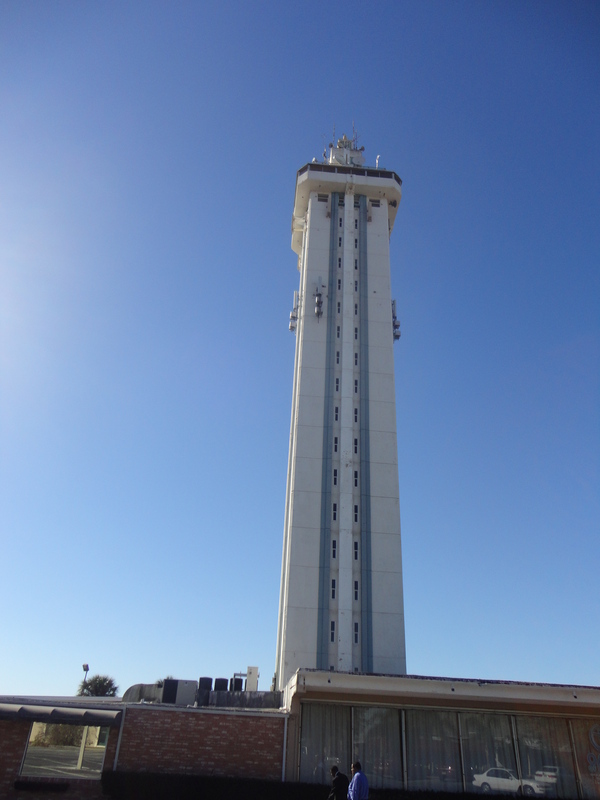 For more information about the Citrus Tower, log onto http://www.citrustower.com. The Florida Citrus Tower is located at 141 North US Highway 27, Clermont, Florida 34711. Telephone: 352-394-4061.